Passengers created a ruckus at the Delhi airport in the wee hours of Wednesday as a SpiceJet flight to Hyderabad, which was set to depart from Terminal 1, got delayed due to runway closure and unsuccessful attempts at changing terminals. "The incoming aircraft, which was to operate the Delhi-Hyderabad flight, landed at Delhi airport's Terminal 2 as scheduled. After landing at Terminal 2, the aircraft could not be taxied to Terminal 1 due to runway closure for scheduled maintenance, leading to a delay," a SpiceJet spokesperson told PTI. 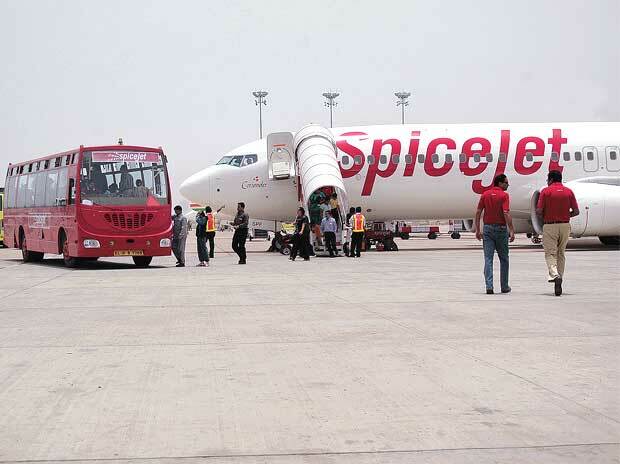 "SpiceJet officials took special permission to ferry the passengers and the baggage to Terminal 2. However, some passengers did not cooperate with our team and also did not allow other passengers to board the coaches and insisted on boarding the aircraft from Terminal 1," he added. According to the spokesperson, this delayed the flight further and the SpiceJet team once again requested the Air Traffic Control (ATC) to allow the aircraft to be taxied to the bay at Terminal 1. "After receiving the requisite permissions, the aircraft was taxied to Terminal 1 at 2:45 am and the flight departed at 3:10 am," he said. The scheduled time of the aircraft's departure was 9.10 pm on February 19, but it was rescheduled to 12.40 am of February 20, the spokesperson informed. "All passengers were duly informed on their registered mobile numbers by calls and messages about the rescheduling at 10.07 am of 19th February itself, so that they could plan their travel to the airport accordingly," he said. The spokesperson added that the passengers were kept informed of all the developments and were served refreshments. Stating that there was no case of any passenger fainting, he said, "A passenger was suffering from high fever and was given the permission to fly after signing an undertaking. He was assisted by SpiceJet officials throughout. The runway closure, which delayed the taxiing of the aircraft to T1, was beyond the airline's control.